Process of Downloading Hall Ticket : Eligible Candidates can Download MPPSC State Service 2018 Mains Exam Admit Card at the Official Website of MPPSC. 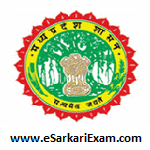 Click on Download Admit Card Link at Home Page. Click on MPPSC State Service Mains Exam 2018 View Link. Open and Download Admit Card by Filling Login Details.